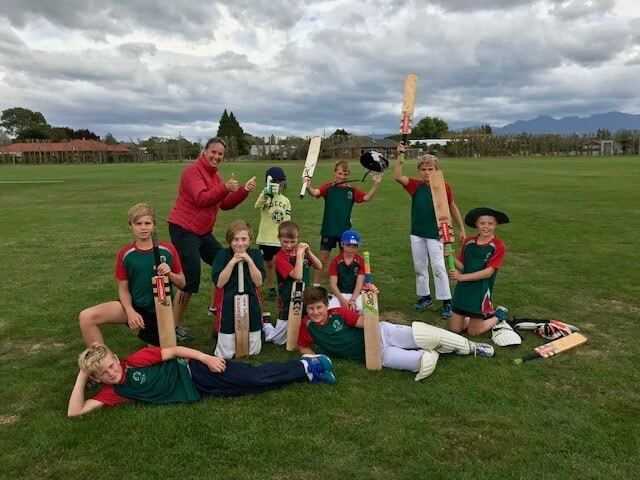 A windy but rewarding day of cricket was held yesterday at the Renwick grounds. 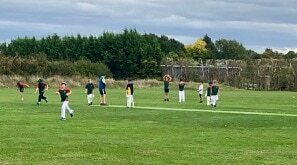 Rapaura team, made up of Y5-8’s, faced Bohally first and then Fairhall. I watched some of the Rapaura vs Fairhall match and it was great. 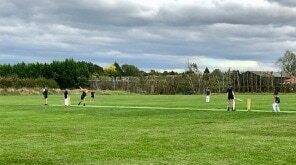 There were run outs, catches, and very good fielding. Rapaura went into bat with 148 runs to catch. They came out winners with 149 runs. Well done to all the team and Danielle and Dion for coaching and managing. A big shout out too Greg W for umpiring the games. The team celebrating the catch Ben B just had.